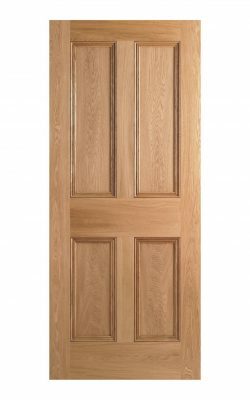 Malton Un-Glazed Victorian Oak Door. A Victorian Classic, this two panel two light door. A classy traditional door with a whole lot of Victorian style. This is a classically-styled internal door typical of the Victorian and Georgian eras. It is suitable for most living areas of the home such as kitchen, dining room, living room, hallway and snug areas. Also bedrooms and bathrooms where traditionally a curtain would be hung on the inside. This classic door has two timber panels, and two elongated glazed panel apertures at the top. The moulded beading is a fascination for all. 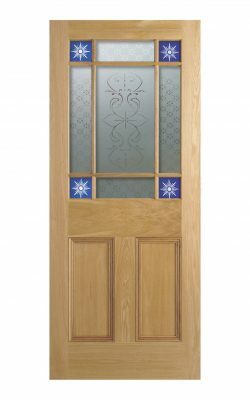 The door comes supplied with beadings to mount your choice of glass panels. Have fun finding your own favourite glazing or choose from our glass packs. Choose from an etched screenprint design or a smoked leaded glass design. 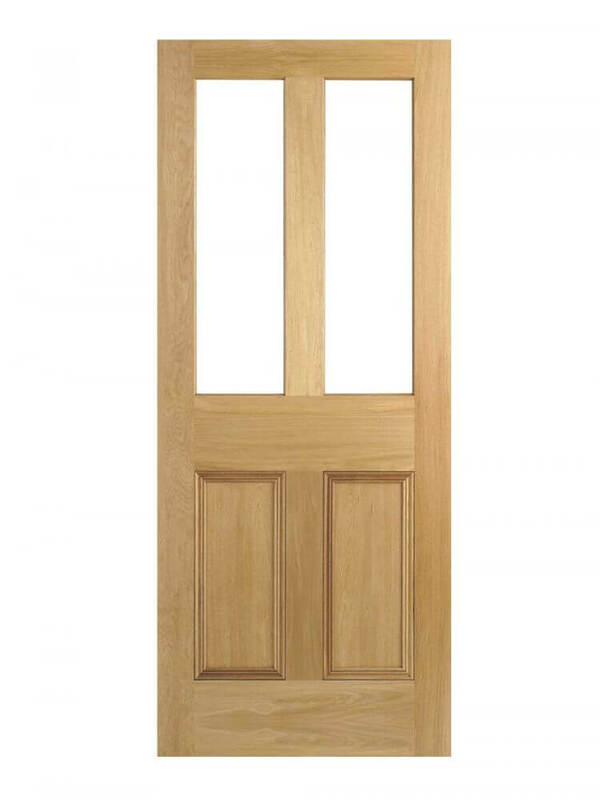 This solid, oak veneered engineered door pays faithful homage to the doors of the era. This classic Victorian range also includes a flamboyant Vestibule Door variant, a standard 35mm four panelled door and a 44mm FD30 Fire door. A door for all locations; dining room, living room, kitchen, even bedrooms and bathrooms with the addition of a curtain. Again, the classic, flourished design offers a rich style to both period and contemporary designer interiors. A distinctively Victorian era door. In this way the panels are flat and the edge down to each panel has a deluxe moulded beading. Un-finished it comes in readiness for your own choice of topcoats. An unfinished, solid door which is ready for your choice of final decoration . It has a 100% solid engineered core (weight up to 22kg) with A- grade white oak veneers. You can make adjustments on all sides up to 6mm. So making it a perfect fit for new and existing door frames. Your new door comes with a manufacturer’s 10-year warranty. 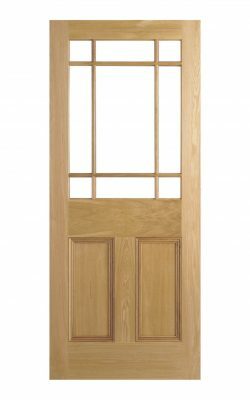 We can supply hinges, door handles, frames separately for the installation of your Malton Un-Glazed Victorian Oak Door. We recommend a minimum of three hinges for this door. Seek specialist advice on which areas in your home might require fire doors. Also, your architect or local building control officer will offer advice.